Matt Riddle. Tyler Bate. Travis Banks. Zack Sabre Jr. Those four men remain in the Super Strong Style 16, which has been an excellent tournament thus far. Night two improved on night one and I could see night three continuing that trend. Not only will this show crown a winner, but Pete Dunne is also defending the PROGRESS Championship. A video package highlighting the night two tournament matches opened the show. Jim Smallman gave us another fun (and at times emotional) opening promo. Before the next match, Roy Johnson seemed to challenge the competitors to rap battles. David Starr went first and since he’s from Philadelphia, he did the Fresh Prince theme. He forgot the lyrics at one point, so Roy dispatched of him for that. Eaver didn’t do well, but Flash at least got off two bars. He said they weren’t friends, which apparently hurt Roy’s feelings. He wanted to end it there, but Andrews hopped on and made a short rap about HHH never calling Roy back. The reactions of everyone in the ring was priceless. Flamita then rapped the lyrics to the Macarena, since he doesn’t speak English. Watching Flash, Andrews and Eaver do the Macarena is must-see. Jimmy Havoc came out and ran them down before attacking with the chair. Jack Sexsmith came out in his sling to start the scramble match. 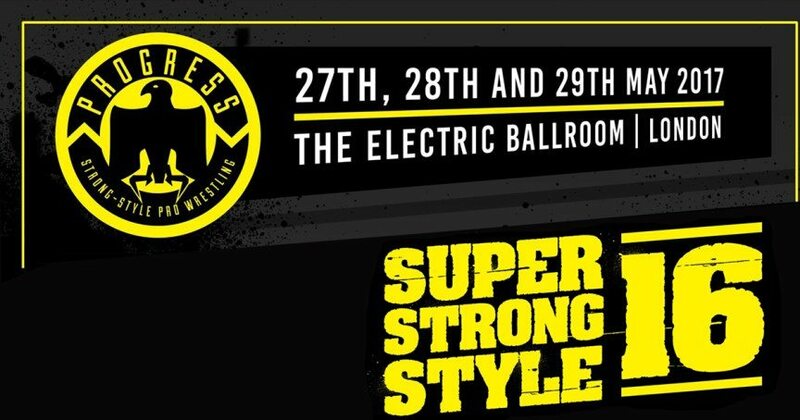 Super Strong Style 16 Semi-Finals: Travis Banks vs. Zack Sabre Jr.
Toni Storm came to the ring for a faceoff with her first challenger. KLR slapped her and exited before a brawl broke out. Jimmy Havoc took out his frustrations on Trent Seven, hitting him with a forearm and throwing the chair at him. Havoc then helped Haskins to the back. Jim Smallman hugged Travis Banks and properly announced him as the Super Strong Style 16 winner. Banks gave an emotional speech and said he wants to main event at Alexandra Palace. Smallman granted it to him, so Banks will cash in his title at PROGRESS Chapter 55: Chase the Sun, in September. Overall: 9.5/10. One of the best shows all year and probably my favorite PROGRESS event ever. That’s saying something, since I consider PROGRESS to be the best wrestling promotion around right now. Everything on this show ranges from good to great, with the tournament matches being the best and all delivering. The main event is a legitimate MOTY contender in my eyes. See this show. In fact, see the whole tournament. Better yet, just start following PROGRESS.